Hattie Wyatt Caraway served for 14 years in the U.S. Senate and established a number of "firsts," including her 1932 feat of winning election to the upper chamber of Congress in her own right. Drawing principally from the power of the widow's mandate and the personal relationships she cultivated with a wide cross–section of her constituency, "Silent Hattie" was a faithful, if staid, supporter of New Deal reforms, which aided her largely agricultural state. On December 8, 1931, Hattie Caraway claimed her Senate seat. Her first observation upon entering the Senate was: "The windows need washing! "9 Thus did the second woman to serve in the Senate enter the upper chamber of Congress. But behind the façade of the dutiful widow was a woman who had every intention of not surrendering her seat to a chosen male successor. Parnell's endorsement for the Democratic nomination in the one–party Arkansas system guaranteed Hattie Caraway's election to the remaining 14 months of her husband's term, which expired in early 1933. Caraway won the special election on January 12, 1932, crushing two Independent candidates with 92 percent of the vote.10 The election forged the creation of the Arkansas Women's Democratic Club, which threw its support behind Caraway and sought to get out the vote and raise money. It was an uphill battle against a field of contenders that included a popular former governor and former U.S. Senator. But Caraway had an important ally in Louisiana Senator and political boss Huey Long, with whom Thaddeus Caraway had often allied and whose legislative proposals Hattie Caraway supported. Long had presidential ambitions and wanted to prove his popularity outside his home state by campaigning in the state of his chief rival, Caraway's Arkansas colleague, Senate Minority Leader Joseph T. Robinson. On August 1, nine days before the election, the "Kingfish" mobilized a small armada of cars and a host of Louisiana state employees to canvass Arkansas on Caraway's behalf. Long and Caraway logged more than 2,000 miles and made 39 joint speeches—with the charismatic Louisianan doing most of the talking. "We're out here to pull a lot of pot–bellied politicians off a little woman's neck," Long told audiences. "She voted with you people and your interests in spite of all the pressure Wall Street could bring to bear. This brave little woman Senator stood by you. "13 For the more than 200,000 people who came out to listen in courthouses, town halls, and city parks, Long effectively portrayed Caraway as a champion of poor white farmers and workers and as a Senator whom the bankers were unable to control.14 In the seven–way primary, Caraway won 44.7 percent of the vote, carrying 61 of the state's 75 counties.15 Far less surprising was Caraway's landslide victory in the general election that November: In the one–party, Democratic system she out–polled her hapless Republican rival by a nearly nine–to–one margin. Known as "Silent Hattie" because she spoke on the floor just 15 times in her career, Caraway nonetheless had a facile wit. She once explained her tendency to avoid speeches: "I haven't the heart to take a minute away from the men. The poor dears love it so. "16 Throughout her 14 years in the Senate, she was a strong supporter of President Franklin Roosevelt and his New Deal reforms, most especially farm relief and flood control. "He fumbles," Caraway once said of FDR, "but he fumbles forward. "17 She harbored deep reservations about American intervention in World War II but backed Roosevelt's declaration of war after the attack on Pearl Harbor in 1941. She was a strict prohibitionist, a critic of lobbyists, and a sympathetic friend to veterans groups. During her tenure in the Senate, Caraway secured $15 million to construct an aluminum plant in her home state and the first federal loan funding for an Arkansas college. During her second term, she voted several times against the Roosevelt administration when she sided with the farm bloc to override the presidential veto of the Bankhead Farm Price Bill, to restrict the administration's use of subsidies to lower food prices, and to readjust the price cap on cotton textiles.18 She also proved instrumental in preventing the elimination of an U.S. House seat from Arkansas to reapportionment in 1941 and methodically attended to constituent requests. Caraway's record on civil rights was mixed. In one respect she was progressive, as the first woman to endorse and vote for the Lucretia Mott Equal Rights Amendment in 1943—a measure that had been presented to the Senate on 11 prior occasions and which Caraway herself had worked for since 1937.20 Hattie Caraway chafed at the Senate's institutional prohibitions against women, at one point noting in her journal that she had been assigned the same desk as Felton. "I guess they wanted as few [desks] contaminated as possible," Caraway quipped.21 Race was another matter entirely, largely because she voted with the unified bloc of her southern colleagues. Caraway voted against the antilynching law of 1938 and, in 1942, joined other southern Senators in a filibuster to block a proposed bill that would have eliminated the poll tax. Though she went on to win the general election in 1938, it was clear that Caraway spoke even less for the Arkansas political establishment than she had in her first term. By 1944, Caraway faced a tough field of Democratic primary challengers in her bid for renomination. Her campaign was uninspired, and she finished last among the four contenders. The winner, a dynamic freshman Representative and former University of Arkansas president, J. William Fulbright, was eventually elected and served for three decades as one of the Senate's most influential Members. Caraway was still a part of the capital city in her post–congressional years. Franklin Roosevelt nominated her in early 1945 as a member of the Federal Employees' Compensation Commission, where she served for a year. In 1946, President Harry S. Truman elevated her to the commission's appeals board, where she remained until her death on December 21, 1950, in Falls Church, Virginia. 3"Says Widow Favors Taking Caraway Seat," 10 November 1931, New York Times: 13; "Mrs. Caraway's Wit Matched Husband's," 15 November 1931, Washington Post: N1. 6"Gov. Parnell Names Mrs. Caraway to Senate; Asks Party to Back Her for Jan. 12 Election," 14 November 1931, New York Times: 1. 7"A Woman Senator," 14 November 1931, Washington Post: 6. 8"Mrs. Caraway's Wit Matched Husband's." 11Susan M. Hartmann, "Caraway, Hattie Ophelia Wyatt," American National Biography(ANB) 4 (New York: Oxford University Press, 1999): 369–370. 12Quoted in Karen Foerstel, Biographical Dictionary of Women in Congress (Westport, CT: Greenwood Press, 1999): 50. 14After the death of Long, Caraway spoke at the 1941 ceremony in which the Louisiana Senator's statue was unveiled in National Statuary Hall. She reflected upon their friendship and commented that, "While I did not always agree with Senator Long, I respected his judgment and sincerity of purpose." Moreover, although grateful for his help during the 1932 campaign, she did not blindly follow his bidding in the Senate. For example, when Long asked her to vote against the World Court, she refused. See the Congressional Record, Senate, 77th Cong., 1st sess. (25 April 1941): 3322–3323. 17"Hattie Caraway, Ex–Senator Dies," Washington Post, December 22, 1950: 1; B2. 20"Amendment for Equal Rights for Women Favorably Reported by Senate Committee," 24 June 1937, New York Times: 8; "Women in Capital Hail Mrs. Caraway," 8 December 1931, New York Times: 16. 22Sidney Olson, "Mrs. Caraway Faces Fight in Vote Tuesday," 6 August 1938, Washington Post: X1. McClellan later went on to win election to the Senate in 1942, where he served for 34 years and eventually chaired the Appropriations Committee. 24Olson, "Mrs. Caraway Faces Fight in Vote Tuesday" Sidney Olson, "Machine Bosses Hold Balance in Arkansas Race," 7 August 1938, Washington Post: M6; "New Dealers Lose 1, Win 2 Senate Tests," 11 August 1938, Washington Post: 1. Bulk of her papers were destroyed. Papers: 1934. 8 items. Correspondence with Dallas Herndon of the Arkansas History Commission concerning the Arkansas centennial half-dollar and a proposed biography of T.H. Caraway by Horace Adams. Additional Papers: 1939 March 29 letter to Harry B. Solmson concerning legislation prohibiting the export of peeler logs to European countries and 1944 July 18 campaign postcard. Papers: Scrapbook, including photographs, from her 1932 election in the Huey Long papers. Oral History: Discussed in interview with Morris Lewis Witten, 1966. Papers: In Sue Shelton White papers, 1898-1963 (bulk 1909-1963). Papers: Ca. 250 pages of correspondence in Franklin and Eleanor Roosevelt papers and the Democratic National Committee, Women's Division records. Papers: Correspondence in Charles F. Johnson papers, 1899-1959. Papers: 1884-1950. 83 items. Correspondence (1919-1950); photographs (ca. 1884-1943); journal (1931-1934); scrapbooks of clippings (1927-1931 and 1934-1944); and other papers pertaining to her political career and members of her family. Finding aid available online. The journal was edited by Diane D. Blair and published as Silent Hattie Speaks: the Personal Journal of Senator Hattie Caraway, Westport, Conn.: Greenwood Press, 1979. Additional Papers: In various collections including letters to her son in Forrest Caraway papers, 1931-1941; correspondence in Clyde Taylor Ellis papers, 1933-1976; correspondence in the R. S. Biggers papers, 1929-1940 [bulk 1939]; and Walter John Lemke papers, 1821-1969. Finding aid available online. Papers: Autograph poem by Caraway in Hermann Bacher Deutsch papers, 1920-1945. Finding aid. 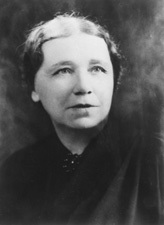 "Hattie Wyatt Caraway," in Women in Congress, 1917-2006. Prepared under the direction of the Committee on House Administration by the Office of History & Preservation, U.S. House of Representatives. Washington, D.C.: Government Printing Office, 2006. Chamberlin, Hope. "A Matter of Duty: Hattie W. Caraway, Democrat of Arkansas," in A Minority of Members: Women in the U.S. Congress. New York: Praeger Publishers, 1973: 86-95. Hendricks, Nancy. Senator Hattie Caraway: An Arkansas Legacy. Charleston, SC: The History Press, 2013. Kennan, William. "Senator Hattie Caraway: A Study in Rhetorical Efficacy." Master's thesis, University of Arkansas, 1976. Kincaid, Diane, ed. Silent Hattie Speaks: The Personal Journal of Senator Hattie Caraway. Westport, CT: Greenwood Press, 1979. Malone, David. Hattie and Huey: An Arkansas Tour. Fayetteville: University of Arkansas Press, 1989. Sneed, Betty. "Hattie Wyatt Caraway: United States Senator, 1931-1945." Master's thesis, University of Arkansas, 1975. Towns, Stuart. "A Louisiana Medicine Show: The Kingfish Elects an Arkansas Senator." Arkansas Historical Quarterly 25 (Summer 1966): 117-27. Williams, Nancy A., ed. Arkansas Biography: A Collection of Notable Lives. Fayetteville: University of Arkansas Press, 2000: 52-53.